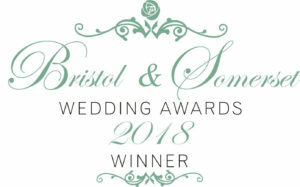 I am so incredibly excited and grateful to announce that I have won the Bridal Accessories category at the Bristol & Somerset Wedding Awards 2018! I want to say a huge thank you to all of my clients who spent the time to vote for me and to put forward such wonderful feedback (which you can read below) in order for the judging panel to place me as the winner. Nicola is a true professional- talented, artistic, a great listener and a fantastic milliner. It was brilliant working with Nicola – the whole process was fun and the end result was phenomenal. Why did you book this Supplier? I wanted a local milliner – and found Nicola online. I cannot recommend her highly enough. Nicola gives a very personal service and does everything she can to ensure her client is happy with her millinery and that it is fantastic for the occasion. Nicola’s friendly relaxed approach made this an enjoyable experience. I needed something special for my Daughter’s wedding. Instead of a vail I wanted a bespoke Venetian wedding masquerade mask as we were getting mar- ried in a Venetian Ballroom and I sang an Italian Opera song walking up the aisle. I wanted it to be in keeping with the pretty wedding dress and therefore soft and delicate in it’s style. Nicola and I communicated mostly by Skype as I live in Cambridgeshire. She completely understood the brief and sent mock up masques by post. To say I was over the moon with the finished piece of work is an understatement. We managed to get some off cuts from another wedding dress (her sug- gestion) and she used these to make part of the masque and to match the style of the dress per- fectly. The masque was soft and delicate with beautiful feathers and diamonte detail and far better than I could have ever have imagined. I will always treasure this masque. I really didn’t know where to turn to get such a bespoke wedding masque. Then I remembered a girl that I had gone to School with years ago had something to do with theatre in London and the last I had heard she was doing Millinery. A few quick checks and I found her and got in touch. Her experi- ence was a perfect match and that coupled with her warm professional manner meant I knew I was in safe hands. The finished article was better than I could have ever dreamed of. I feel so lucky that I had met Nicola many years ago. She is extremely talented and her ability to understand at a deep level exactly what I wanted is what makes her work so amazing, unique and special. Nicola was amazing! She really understood what my mum was looking for in her hat, making sure she stood out enough as mother of the bride but taking into account her shy personality! The hat looked amazing. A real talking point amongst many of our guests. Thank you so much! She did work for my brothers wedding which I loved.